Biesse's SOPHIA is being presented to the trade fair public for the second time in Germany, at HOLZ-HANDWERK 2018, scheduled to take place at the Nuremberg trade fair centre from 21 to 24 March. 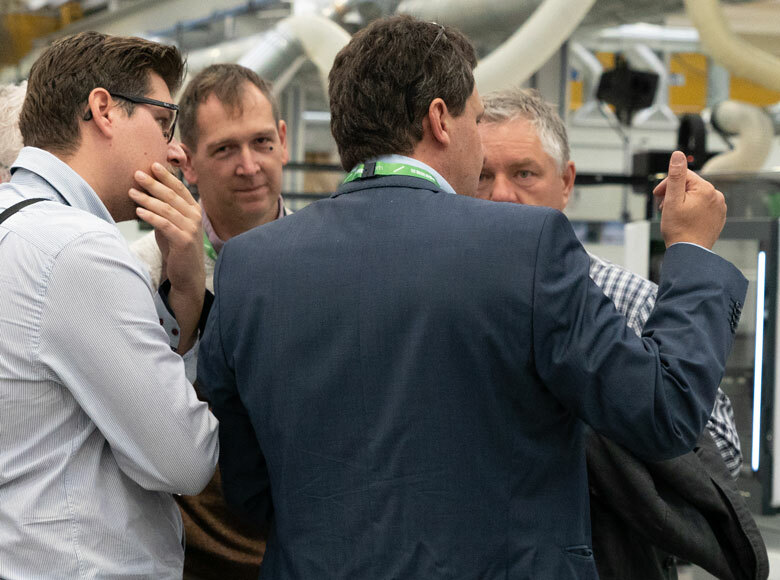 An unmissable opportunity to discover first hand the major advantages offered by the new IoT service platform, and to get a close-up look at all the Biesse technologies - solutions that can revolutionise production. “We work alongside our customers to transform their production reality into digital factories that can meet all the needs of today's market. 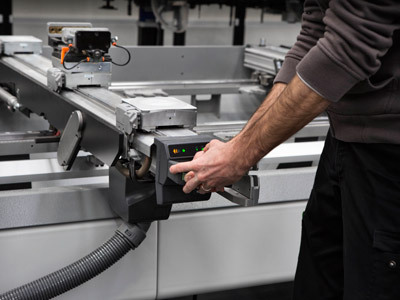 We offer machines that are able to communicate with each other thanks to automation systems and dialogue software that can imagine a product and simulate its construction and testing even before it's been created” says Jacek Pigorsch, CEO of Biesse Deutschland. 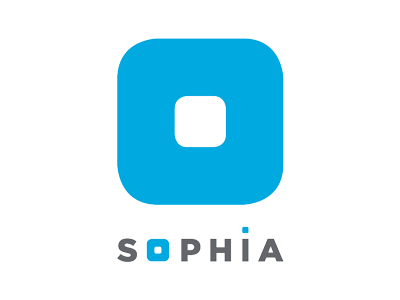 “Sophia is proof of our commitment to accompany our customers on the road of evolution, via the optimisation of all the fundamental assets - technological, strategic, organisational and human. In Germany we are investing more than ever. Among other things, we will enlarge our company headquarters in Elchingen by more than twice with a new building. We'll have a new Showroom on which we will present a big number of machines and systems constantly ready to demonstrate; and there will be also a special software and service area. In addition, we are optimizing our training area and providing our customers optimal training conditions" adds Pigorsch. HOLZ-HANDWERK 2018 will be an unmissable chance for our customers to fully experience our business culture and see for themselves our 4.0 Ready innovations. 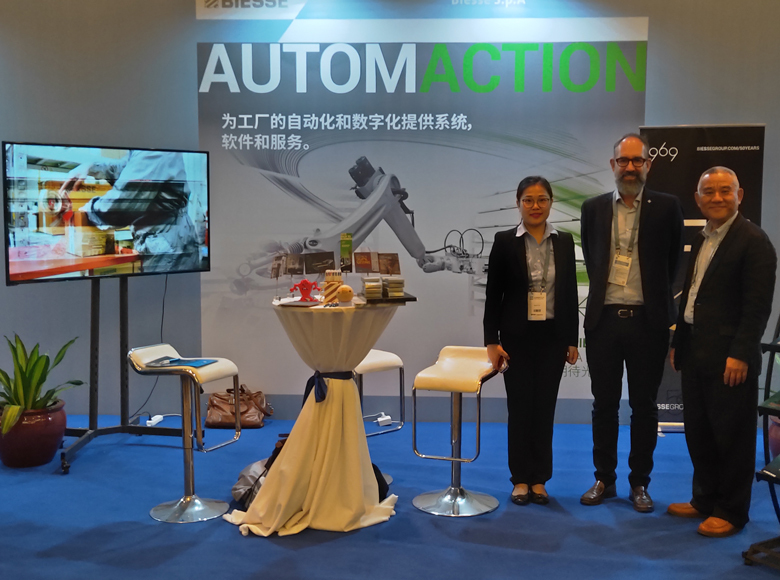 The Biesse stand will be displaying SOPHIA (the IoT platform created by Biesse in collaboration with professional service company Accenture), which enables its customers to access a wide range of services to streamline and rationalise their work management processes. It's based on the connection to a cloud service and special sensors applied to the Biesse machines; the information and data on the technologies in use can be recorded and sent in real time to optimise performance, prevent malfunctions and increase the productivity of machines and systems. In addition, the direct connection with Parts, the Biesse replacement parts portal and the ability to upgrade software in a few clicks provides customers with everyday work tools that can simplify a host of tasks. The key value of Sophia is the power of its predictive nature: the ability of this technology to offer a vision of the future, anticipating issues that may arise, identifying solutions and improving performance. The IoT features within the platform guarantee a significant increase in productivity, courtesy of a process of constant, accurate and comprehensive analysis and reporting on manufacturing performance. There'll be many machines on the stand, used for specific demos which, with the skills of Biesse's technical and commercial personnel, will provide clear answers to meet the needs of those who work with wood. The machines will cover every aspect of woodwork, from processing centres to edgebanding machines, panel saws and sanding machines. And not forgetting the efficient, advanced software packages that can communicate with each other and manage the machines without problems. The processing centres will include various machines of the Rover range, purposely designed for the production of furniture items and door/window frames. Thanks to the comprehensive range of sizes and configurations, it's ideally suited to small and large joineries who need to manufacture either irregular shaped products or standard products in small batches. From the compact Rover A and Rover K Smart that can produce every type of furnishing element with one single machine, to the top-performance Rover C that can work particularly large pieces. There'll also be a processing centre with table - the Flat Table, the Rover K FT for nesting operations that ensures optimum versatility, reduced dimensions and the top quality that has always distinguished the Rover range, and the Brema Eko 2.2 for boring and milling. With regards Biesse's solutions for the wood construction sector, the Uniteam CK will be on display. Designed to machine complex architectural structures like civil construction, swimming pool roofing, sports centres, etc., it can work beams up to 14m long and with a section of up to 1000x300mm. 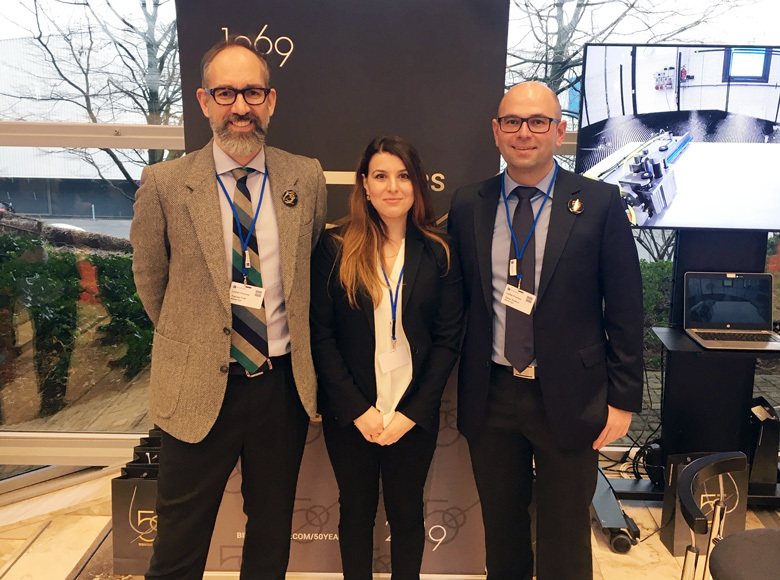 The Winline 16 is the new multi-centre designed for artisans and small firms that want to increase their production, and medium-large factories that produce small irregular shaped batches or adaptations. Visitors interested in the edgebanding process will be able to see some of the solutions from Biesse's affirmed range given over to this type of work, including the Akron 1300, Akron 1400 and Stream A. Biesse edgebanding machines are the only systems on the market built for your specific processing needs. They can subsequently be re-configured to meet any new production requirements. 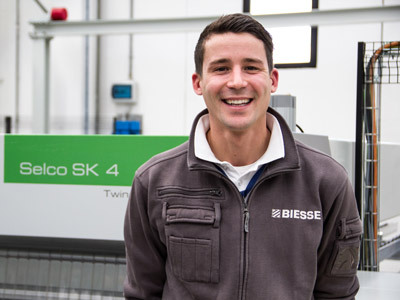 Biesse will also be showing off the Selco WN2 - its new sectioning centre aimed at the artisan who decides to make an initial investment to improve production and machining quality; this step from a classic manual machine to the first real cutting technology is reliable, user-friendly and affordable. The Viet Opera 5 and Viet Opera S2 will be demonstrated as well. These technologically advanced smoothing centres meet the various requisites of both small, medium and large companies. 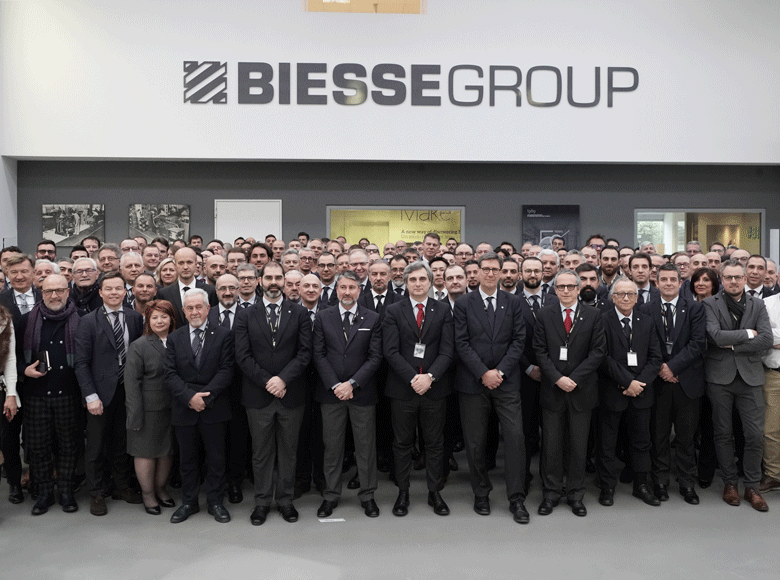 The Biesse software packages are a vital element too. They can digitalise the machines and the items to be created, checking production even before it actually happens.